Barro aluminium surface mounted ceiling spotlight. 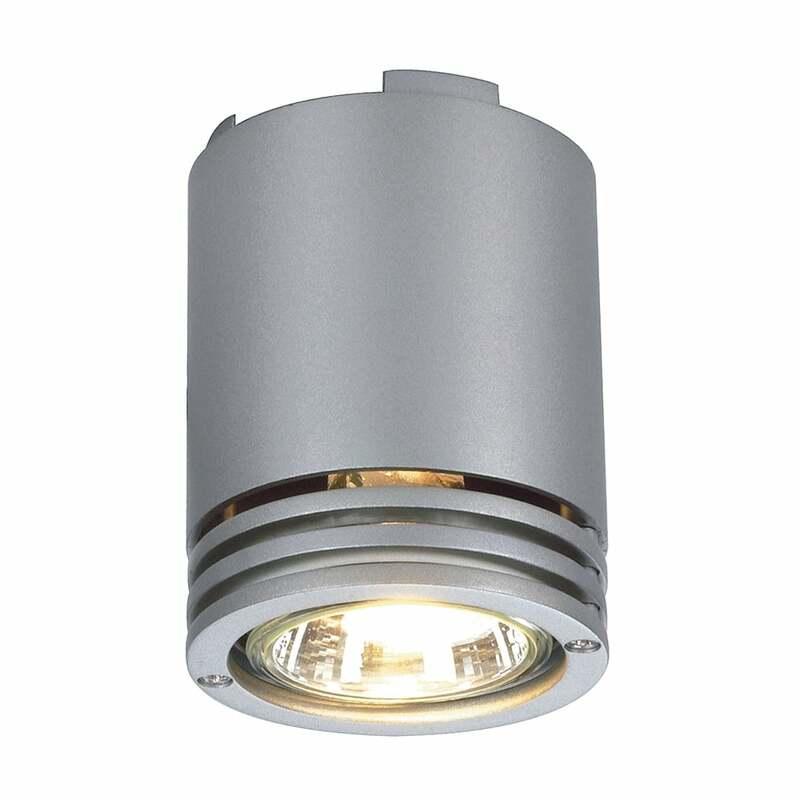 A modern design, compact spotlight that fits flush to the ceiling but is not recessed into the ceiling. This is a great choice of spotlight if it is not possible to have recessed down lights. Can be used in kitchens, sitting rooms, hallways, in fact anywhere in the home apart from the bathroom. It is a small diameter fitting that is ideal for lighting rooms with lower ceilings. The sleek modern design and neutral silver grey colouring will work well in contemporary open plan living areas. Well priced ceiling spotlight that can be used with low energy or standard GU10 bulbs. Can also be used with our LED GU10 bulbs which are very long lasting and cost effective to run.